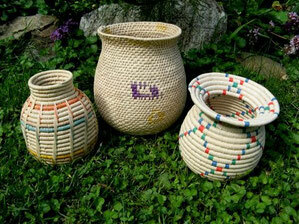 -AMAZON BASKETS- - ARTE AMAZONIA provides a global voice through art for the indigenous cultures of the Amazon. 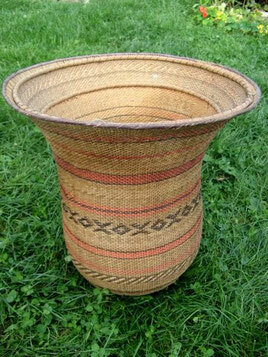 Our basket collection includes the works of the Yanomami, Ye'kuana, Hiwi and the Warao people of Venezuela. Each group uses similar resources but create dramatically different works by using various weaving techniques and the application of natural dyes for design. These baskets offer us a connection to the rainforest and its' people. As the rainforest is threatened, so are the people and cultures that live there. Their traditions and knowledge of the environment is vanishing along with them. 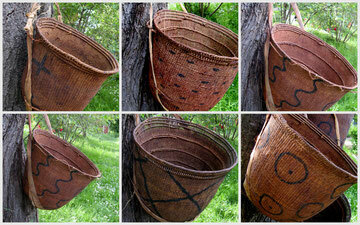 These baskets reflect their resourcefulness and their aesthetics of their life in the jungle. 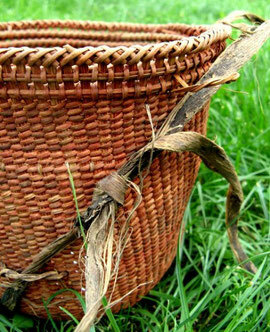 Their ability to identify, cultivate and to work the plant materials for making these beautiful baskets demonstrate their knowledge of their environ- ment. 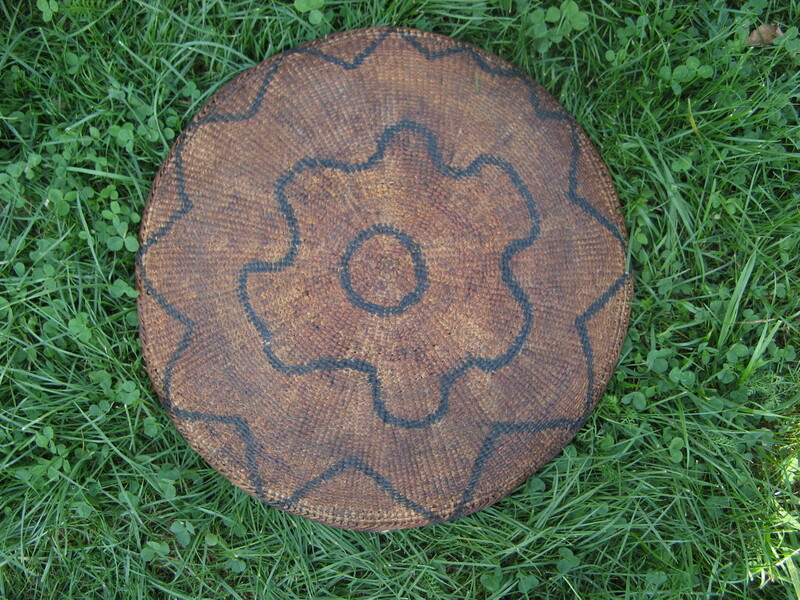 This skill is something that is the very foundation of most indigen- ous cultures. As we use cardboard boxes, plastic bags, cotton sacks, canvas handbags to transport and organize our goods, the people of the Amazon, rely of their knowledge and skills of their environment to provide the basic necessities needed for survival. Additionally, each culture has it's own way of expressing this relationship by the use of different color dyes, weaves and symbols that are applied. In some cultures, like the Ye'kuana, one can see easily recognizable images such as frogs and monkeys, but in others, such as the Yanomami, the designs are more abstract. The images are taken from the world around them, and also, often from their inner world, their dreams. For over ten years we have been collecting our Amazon baskets, we are proud to be sharing our extensive collection of indigenous handicraft from the Amazon. We hope that you will find these baskets beautiful, and also, insightful to a way of life that is interwoven with it's dreams and environment. Following is a brief glimps into each the cultures currently respresented by Arte Amazonia. Please click a culture for more details. "There is the one (great spirit) who created all of the baskets, and the baskets began to walk, and they entered the water after eating many Indians. They are the cayman alligators-you've only got to look at their skins to see that. An Indian doctor saw this spirit creating the first basket, and he managed to escape in time to avoid being eaten. It was a Yekuana. That's why our baskets are better made than anyone else's." - Taken from the book "To Weave and Sing," written by David M. Guss. 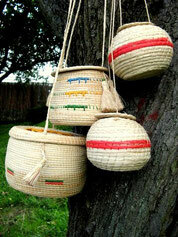 Sudan A. Maccio of "Hacedores de pais"
Their handicraft is inspired by the world around them and their need for survival. 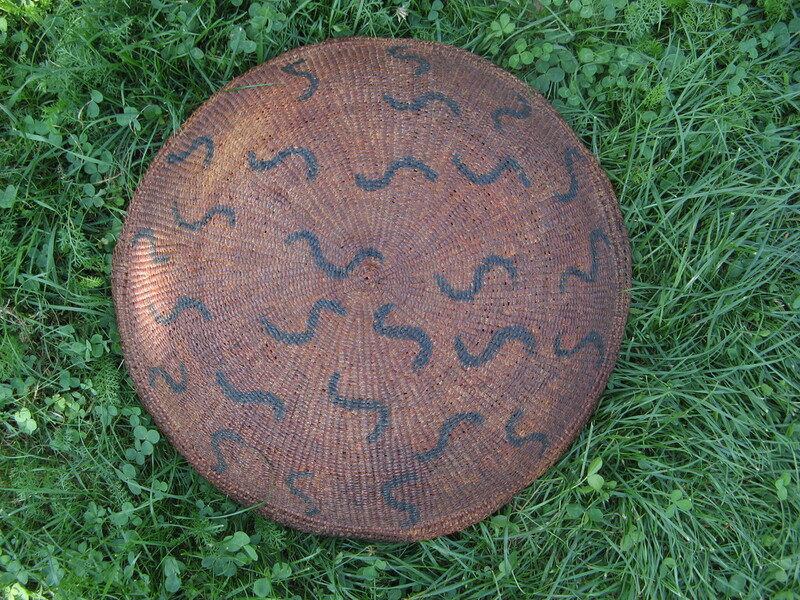 Traditionally, the Waroa made baskets for food gathering, storage and transporting. 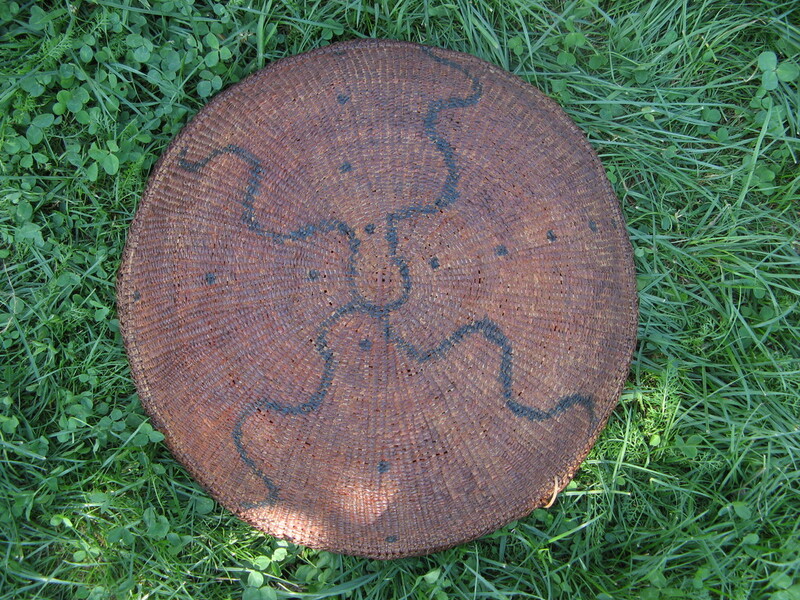 The material is mostly made from moriche palm was is concidered their "tree of life" from which their survival depends. Yanomami means “human being”. The Yanomami are located in the Amazon rainforests of Brazil and Venezuela. The Yanomami are an indigenous tribe, which is made up of subdivisions of Indian villages that live in seclusion. Each household contains one to six family compartments and live together in a larg circular structure called a Shabono. Social life is organized around kinship relationships, descent from ancestors, and marriage. They are hunters and gatherers and tend small garden plots. The Yanommami are believed to be the most primitive, culturally intact people in the world and the last culture to come into contact with the modern world. 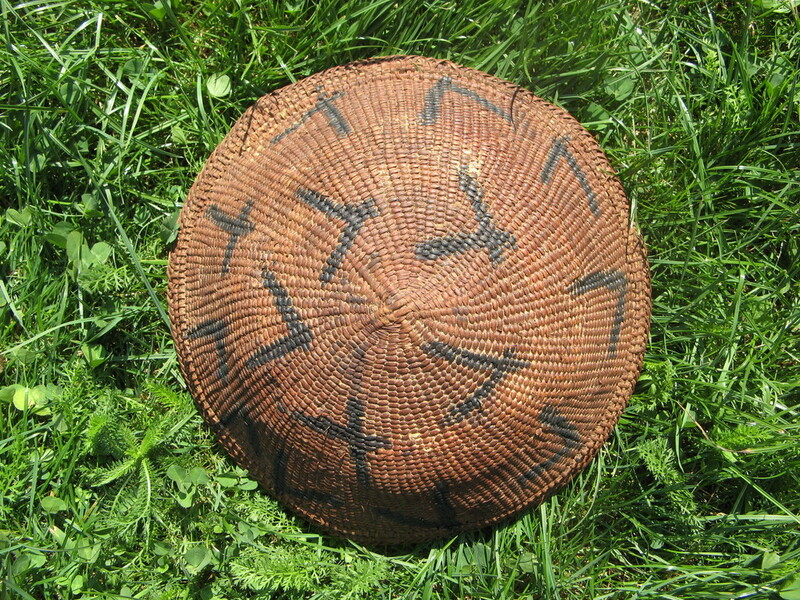 The women weave and decorate flat baskets and carrying baskets, which are carried by a strap around the forehead. 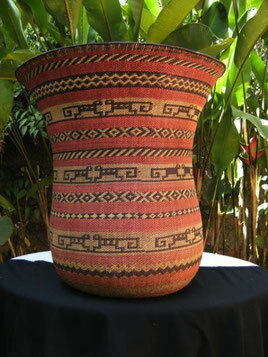 Red berries called onoto are used to dye the baskets and to paint their bodies. 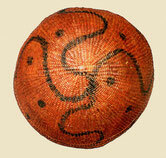 Their baskets are often decorated with dots, circles, waves and lines by using masticated charcoal pigment. their baskets from moriche fibers. This plant provides food, clothing, ropes, roofing material, hammocks. 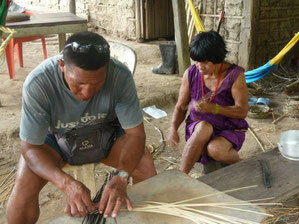 The fiber obtained from the palm is one of the most important products in the life of the peoples of the forest.